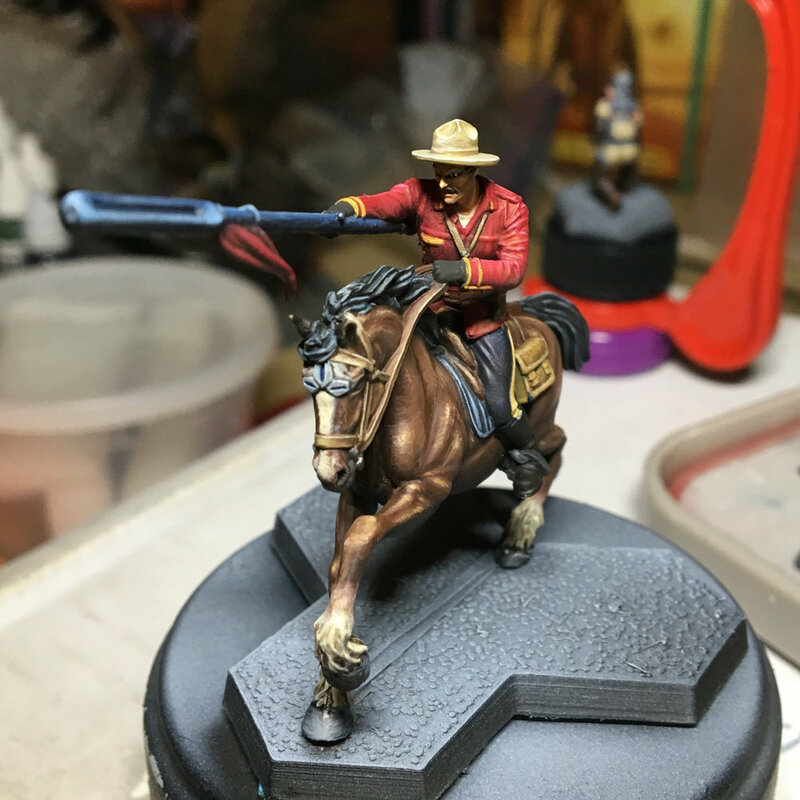 In my last post I was struggling with the horse’s brown coat. I used Rhinox hide (GW) as my base coat and I was mixing in an off-white to layer up the highlights and I wasn’t happy with the color at all. This week I started over with the base coat and instead of off-white, I started layering up to Vallejo Light Brown as a mid-tone before the white and I like the look a lot more. I still have some brush strokes to smooth out but overall the horse looks much more lively to my eye. I’m also pretty happy with the leather bags. I tried stippling some various colors in to give it an interesting worn texture. I still have one more session to go on him to finish the “lance” and a lot of detail work. Do you like the color change on the horse? Let us know what you think in the comments. Newer PostWell that was a Crazy Week!